My response: The whole idea behind online networking is to get to know new people! That said, if you’re on the job hunt, your networking efforts must amount to more than sending and accepting invitations. You need to optimize your LinkedIn network. What does it mean to have an optimized LinkedIn network? Simply put, it means the people in your network should be able to help you in your job search – and of course, you should be of assistance to them. You’re only as good as your network. Your top tier comprises people with whom you have worked – e.g., former colleagues and supervisors. I say these people are your most important connections because they know you well and are involved in the industry in which you work. Many of my clients who land their jobs quickly do so by utilizing their top tier connections as references in order to network with their targeted companies. This is why it is essential that you keep up with your former colleagues. You never know when you’ll need them. The second tier contains people who share with you the same occupation and industry. These people are like-minded and have similar aspirations to yours. They should be the core of your network, your largest audience. Get to know them well, as they will hear of openings at other companies, as well as their own. You should also communicate with your second-level connections frequently by posting updates, sharing articles, sending direct messages, etc. The third tier contains people who share the same occupation with you but are in different industries. If you’re a financial analyst, your third tier would be other financial analysts in industries outside of your own. These LinkedIn members can also be helpful in your job search, especially if you’re considering a career change. They can provide useful information and sage advice. 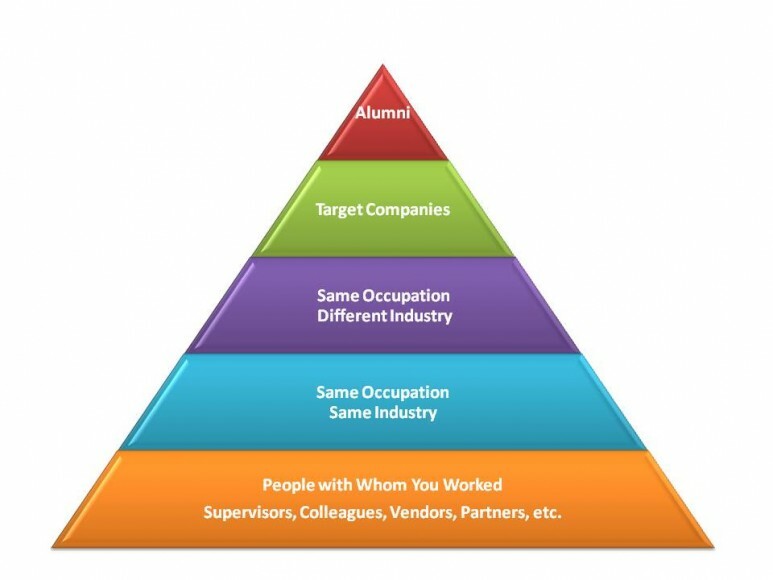 The fourth tier comprises people who work at your target companies. They are usually in other occupations and industries. For example, a third-tier connection might be the vice president of a manufacturing company that is one of your target companies. Perhaps the vice president needs an accountant. You’re not a vice president, nor do you work in manufacturing, but you are an accountant. The fifth tier consists of your fellow alumni, people who attended the same schools as you did at some point. One LinkedIn feature I stress to my workshop attendees is the “See Alumni” option, which allows you to narrow your search of targeted alumni according to a few different filters, such as what they studied, the type of work they do, the companies for which they work, and their location. 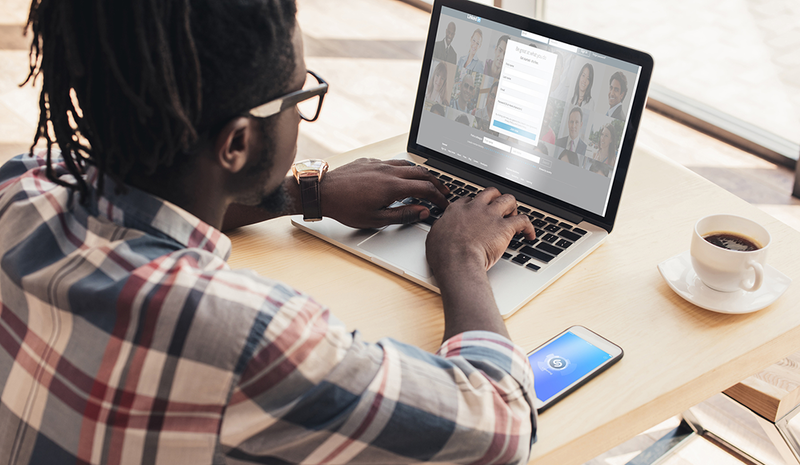 While some LinkedIn members may be more likely to make for effective connections than others, you can’t discount anyone. You may be surprised at who leads to your next job.